Thank you for joining us for the Create A Scene Challenge and we hope you will all join us again this week too. //embedr.flickr.com/assets/client-code.jsI used this cute 3D Chickie sticker from Doodlebug on my card. The panel is made using watercolour paper on which I sponged Blueprint Sketch, Mermaid Lagoon and Cracked Pistachio distress inks. I then spattered clear water and blotted them. Then sprayed with fine clear shimmer. I die cut this panel using the largest of the Stitched Rectangle die from Simon. 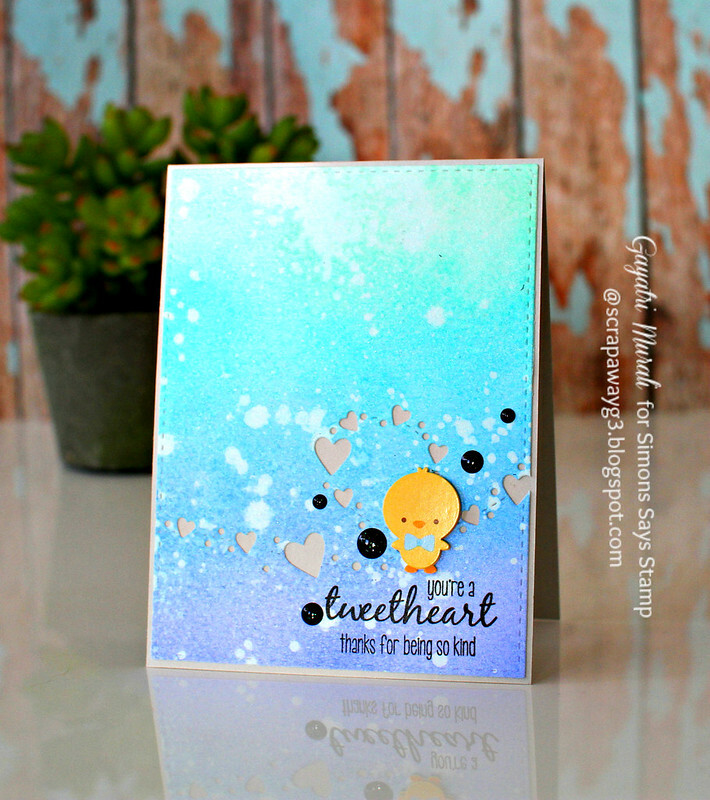 And to add more interest, I used the Heart Breeze die from Simon Says Stamp to die cut on the panel. The sentiment is from Springtime Critters stamp set from Simon Says Stamp stamped with Simon’s Intense Black Ink.. I felt the sentiment was perfect with the cute chickie sticker. I them simply adhered the chickie sticker on top of the sentiment and added a few Doodlebug Beetle Black Sprinkles. 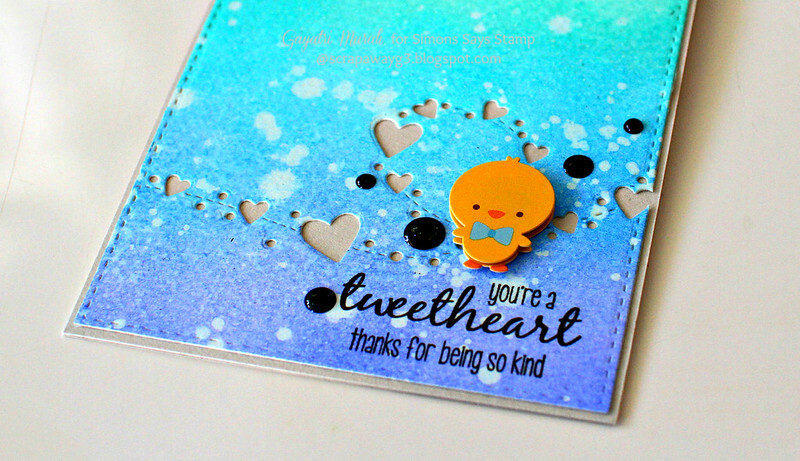 Love this cute little chick, Gayatri – and your background with the heart pattern is wonderful! That background is amazing! Love love this, Gayatri! GREAT use of the heart die and that cute sticker image! Such a cute card! Your inked background is gorgeous!